Homer City Automation is the industry leader in custom feeders and feeding systems for a wide variety of applications. 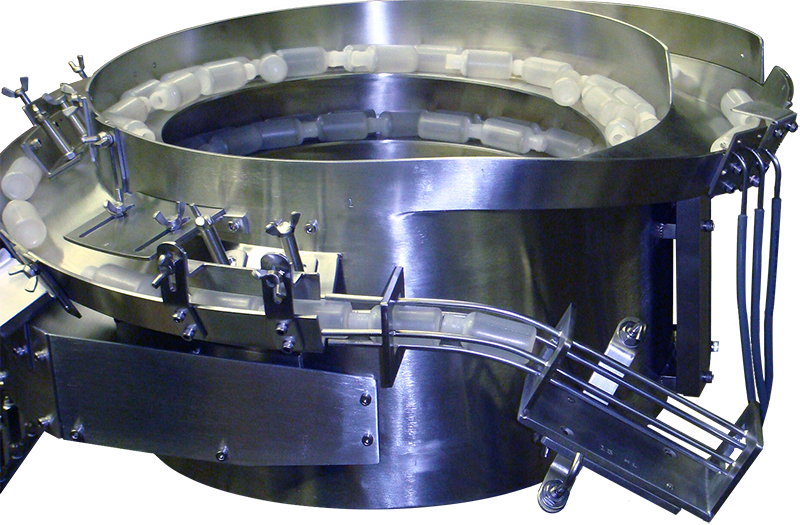 This includes a custom-tooled vibratory bowl feeder such as cascade bowls with drives, outside track bowls with drives, and custom-tooled rotary feeders. Homer City Automation offers complete custom parts handling systems that would include supply hoppers, gravity tracks, horizontal tracks, base plates and support stands, controllers and other accessories, to take product from bulk and present parts as needed for assembly, packaging and/or other processes.